Green with yellow forehead and cheeks. Horizontal black and yellow bands on back. 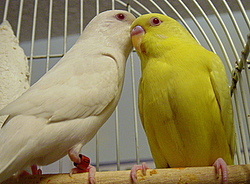 Cere blue in male, brown in female. Many mutations. Immature Budgies may show barring on head down to cere. Beaks of newly fledged may be dark, their eyes solid lacking white irises. Budgies are jovial little birds that love to play and explore their surroundings. While they look forward to time spent with their human companions, they can be quite independent, making them perfect for novice bird owners. 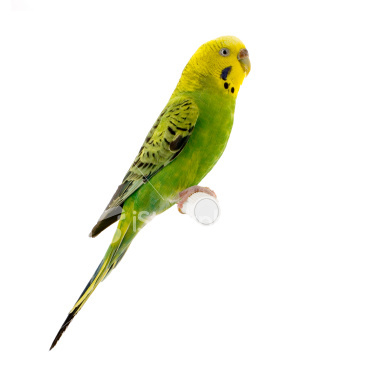 Those that wish to form an especially strong bond with their pet budgie should resist the temptation to add other birds to the home, as budgies can sometimes be less enthusiastic about people in a flock environment. Millet, canary grass seeds, oats, greenstuff, carrots, sweet apples. Budgies are active little birds and need exercise every day to keep themselves in top shape. 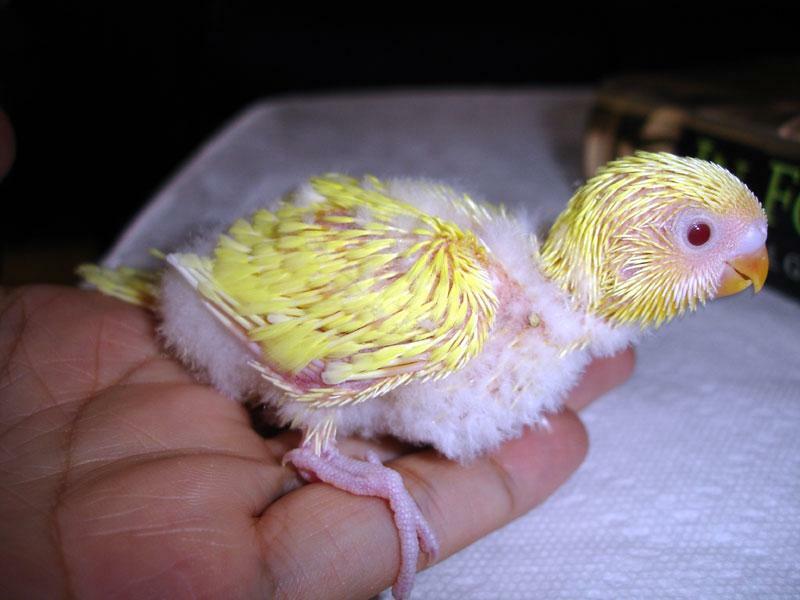 Captive budgies, particularly those that live in small cages, should be allowed out for at least a couple of hours daily in a secure area so they can explore and stretch their wings. Budgies are inexpensive, easy to care for. Most common bird species in captivity. Sociable, quick to tame, and can prove a talented talker. Keep in pairs, or dolls and other toys serve as substitute partners. Large cage with gauge, daily free flight in the room. 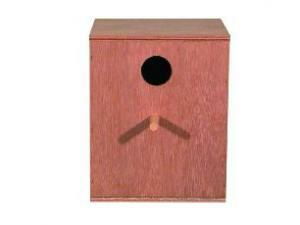 Nest box from poplar or birch, which should be removed in August to prevent attempts to rear chicks during colder months; replace the following spring. Lays 4 to 8 eggs, up to 10 in as little as 10 days, incubation 18 days, fledging 20 days.